Proven design is a best seller. 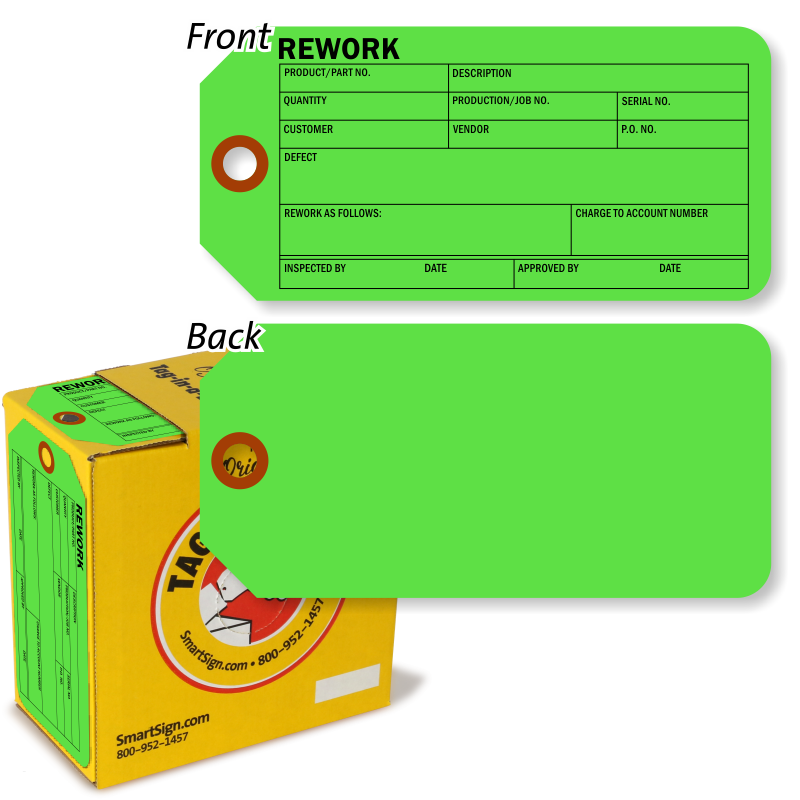 13 point, heavy-duty cardstock tag with reinforcing patch. • Easy to fill-out form has all of the fields that you need. • A sturdy fiber patch offers extra reinforcement for a wire loop. 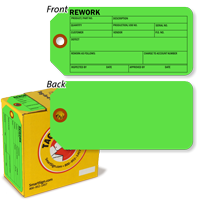 • Color code your inventory tags for fast checking of parts to be reworked.